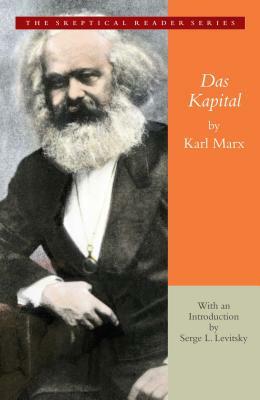 Das Kapital, Karl Marx's seminal work, is the book that above all others formed the twentieth century. From Kapital sprung the economic and political systems that at one time dominated half the earth and for nearly a century kept the world on the brink of war. Even today, more than one billion Chinese citizens live under a regime that proclaims fealty to Marxist ideology. Yet this important tome has been passed over by many readers frustrated by Marx’s difficult style and his preoccupation with nineteenth-century events of little relevance to today's reader. Here Serge Levitsky presents a revised version of Kapital, abridged to emphasize the political and philosophical core of Marx’s work while trimming away much that is now unimportant. Pointing out Marx’s many erroneous predictions about the development of capitalism, Levitsky's introduction nevertheless argues for Kapital's relevance as a prime example of a philosophy of economic determinism that "subordinates the problems of human freedom and human dignity to the issues of who should own the means of production and how wealth should be distributed." Here then is a fresh and highly readable version of a work whose ideas provided inspiration for communist regimes' ideological war against capitalism, a struggle that helped to shape the world today.